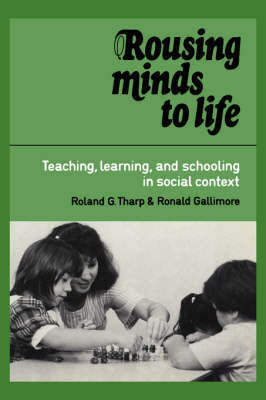 Addressing widespread discontent with contemporary schooling, Roland Tharp and Ronald Gallimore develop a unified theory of education and offer a prescription: the reconstitution of schools as 'educating societies'. Drawing on studies from the family nursery through the university seminar, and on their own successful experiences with thousands of students over two decades, their theory is firmly based in a culture-sensitive devellopmental psychology but seeks to integrate all the recent work in the Vygotskian tradition with basic concepts in cognitive science, anthropology, and sociolinguistics. One of the authors' primary resources is the Kamehameha Elementary Education Program (KEEP), generally regarded as the world's outstanding research and development program for elementary schooling.